Fundraising Target: Self-fund your jump and raise as much as you can! Invite your friends and family to jump with you or just help us spread the word about our charity skydives. The more people we get to jump the more money we raise for Stars Appeal. 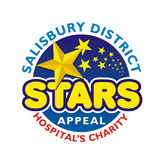 The Stars Appeal is Salisbury District Hospital’s charity. We raise money to create the best possible experience for patients and their families by funding extra care and equipment over and above that provided by the NHS. We work hard to help local people across all wards and departments, with particular focus on cancer, cardiac care and children. We raise funds to enhance care for patients across all Wards and Departments. You can direct your donation towards the Ward or Department of your choice and we will ensure it is used to benefit patients in that area. Thanks to the support of people like you, the Stars Appeal has already helped to fund a range of extra care, facilities and equipment benefiting thousands of local people.